"Former Marine Jake Porter has far deeper scars than the one that marks his face. He struggles with symptoms of PTSD, lives a solitary life, and avoids relationships. Though Jake and Lyndie have grown into very different adults, the bond that existed during their childhood still ties them together. Against Jake’s will, Lyndie’s sparkling, optimistic personality begins to tear down the walls he’s built around his heart. A glimmer of the hope he’d thought he’d lost returns, but fears and regrets still plague him. Will Jake ever be able to love Lyndie like she deserves, or is his heart too shattered to mend?" Combine a childhood friendship, a bubbly heroine with a deep love of art and animals, a solemn hero with a gentle little boy living inside, a stubborn horse with plenty of racing potential, and a delightful cast of secondary characters. What do you get? A whole lotta sweet! Younger brother Jake Porter stars in this third book of the Porter Family series. He has his work cut out for him when a lovely and lively vision from his past returns to Texas, especially when he harbors hurt from the way their friendship ended and the terrible blows life has given him in the meantime. Lyndie is a very fun heroine, and I adore the way she's portrayed with her wide variety of interests and her enthusiasm for the people and projects she cares about. Jake...well, just as he's a very conflicted character, he creates some conflicted feelings in me as the reader. Wade's books often feature troubled heroes, which can be engaging, but can also become bothersome when their love borders on the obsessive/obsessively protective side. 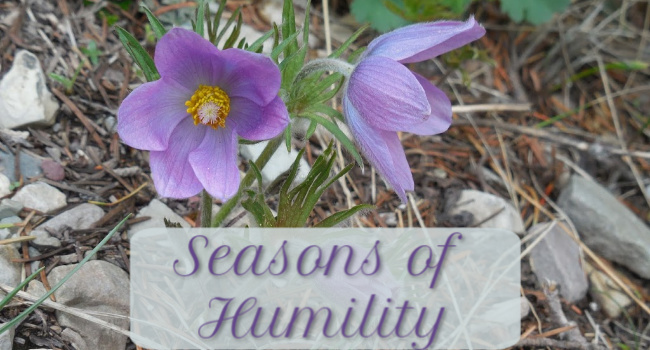 I wouldn't say this character trait bothered me as much as it did in My Stubborn Heart. There's a lot going on with Jake's personality and the hardships he's experienced, and that's certainly understandable. But the way the relationship is portrayed in some respects is just something that gives me pause. I will say, though, that faith is a vital part of the story, as well as hope - which I'm glad to note. The other characters really round out the story. I love Amber's journey of seeking love. (What can I say?) And Ty and Celia's cameos... Gosh, they're just so cute! Meant to Be Mine remains my absolute favorite of the series. 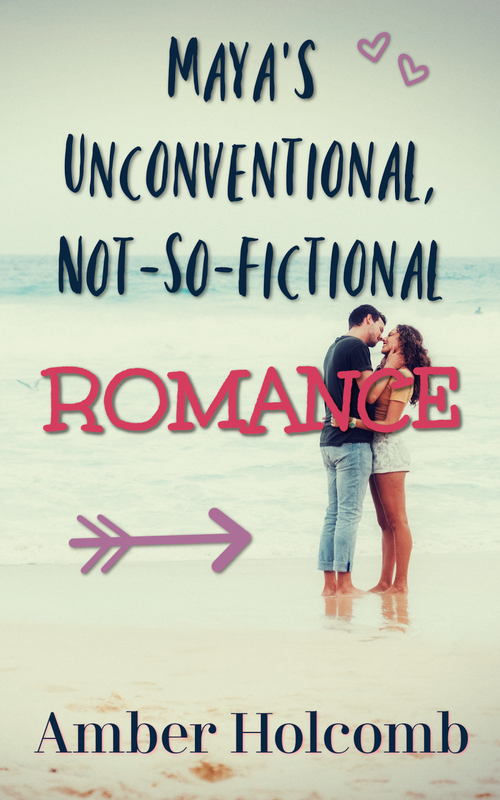 But I believe A Love Like Ours comes in second, which is not a bad place to be in such a beloved and well-acclaimed contemporary romance series. I'm definitely curious about the youngest Porter sibling, Dru. Bring on her story! I'm ready for some more Texas charm. Blog Tour: Check out the review from other blog tour participants HERE. I've posted some spine poetry before, and oh, how I love it! Bringing together some gorgeous and mysterious titles and creating a running theme...so fun! Do you have any spine poetry to share? There are only a few days left to enter the awesome contest! 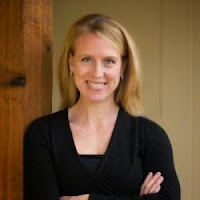 Prizes include books by Pepper Basham, Kristy Cambron, Carla Laureano, Beth K. Vogt, and Catherine West. And there's an extra giveaway with additional prizes! Click HERE to learn more. I had a lot of fun creating a personality quiz (via Pollsnack) for my historical romances (Which Heart's Spring Heroine Are You?). So I decided to create another quiz! This time it's for my author friend Lena Goldfinch's YA books, and it features the heroes instead of the heroines. Let me tell you, ALL of these heroes are dreamy! But which one is the perfect match for you? Take the test to find out! A "fairy tale" mash-up is a recipe for a fun read - and it's always enjoyable to see what Melanie Dickerson does with familiar tales by adding a different historical twist and a new dose of drama. In this "Swan Lake meet Robin Hood" story, Odette is both the character who changes at night (into a huntress instead of a swan) and the one who takes from the rich to feed the poor. Then came some twists with the black market investigation, adding a little more intrigue and a bit deeper characterization. Jorgen seems to come into his own as the story progresses, and while Odette is rather naive and single-minded when it comes to her hunting and its ramifications, she's still likable enough to hold the reader's attention and affection. 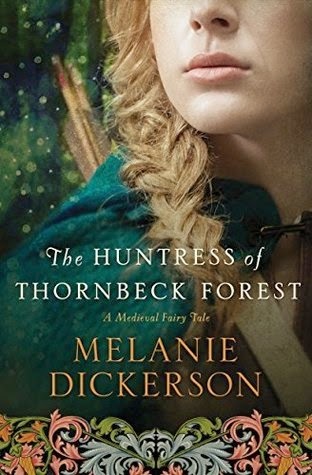 Things get even more interesting toward the end, making The Huntress of Thornbeck Forest an engaging read, overall, and another sweet and enjoyable retelling by Dickerson that honors honesty and generosity. Note: This book releases May 12, 2015.